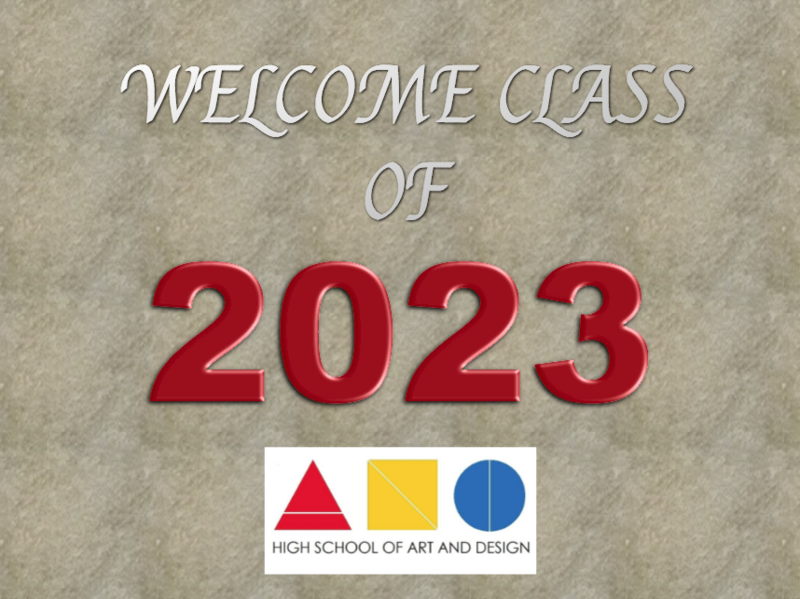 Art & Design High School PTA » WELCOME CLASS OF 2023! Congratulations! We are hearing that notices have been sent. Your child has been accepted to Art & Design High School! If you’re not sure, please be sure to check this page on the official DOE website. There is a link provided there where you can confirm your child’s acceptance. There is a Round 2 of admissions, that’s also explained in the above link. A&D only has a handful slots open for Round 2, but at least it’s something. If you are interested in seeing what type of work the students do, in May there will be a week long Spring Arts Festival, with film and fashion show events that week, and you can really see the caliber of work the students create at all grade levels and among all majors. The Drama Club’s performance of HAIR: The Musical will be opening soon, another opportunity to see what our fantastic kids are up to and what your child could become involved in. Your first official interaction at the school will be during Freshman Orientation which this year is Thursday, June 6. More details to come, but as in years past this is when both you and your child will attend to fill out required paperwork, purchase the Freshman Art kit (subsidized by the PTA) take a picture for the student ID card, purchase items like gym apparel and SO Card (discount for the school art supplies store), and interact with the school staff and PTA about any issues or concerns you may have. The PTA hopes to have a parent panel where we will fill you in on what to expect and how to best prepare your child (and YOU!) for this new four-year adventure. We are in the process of updating our bylaws and hope to have positions open for a Fall 2019 PTA election. This is specifically to encourage our Freshman parents to get involved! One last thing, you may be a parent of an incoming Sophomore child, class of 2022. Again, congratulations! All the above applies to you, but most importantly your child will need to pick an art major right away. The PTA is holding a ‘Choose Your Major” information session that is of interest to all soon-to-be-sophomores in our April 4th PTA meeting, 6:30pm-8pm. You are welcome to attend if you think it will be helpful. As long as you registered at the link above you will get notice of our upcoming meeting. So welcome aboard, and we truly hope the next four years will be a fantastic experience for your child!